This unique introduction to Bees and Beekeeping in the city with Beer & Food Matching, starts with the equipment and tools commonly used by Beekeepers, followed by getting suited and booted in protective clothing so that you can get stuck in with resident Beekeeper inside the hive, handling the frames and checking the health of the Hive. After the fun of getting up close and personal with the 'Ladies', there will be time to relax and enjoy an hour long tutored honey beer and food matching session. Here, you will get an insight into how the Beer is made - in particular the honey beer as well as a history of Honey Beer as a style. A Buzzing two hour experience! 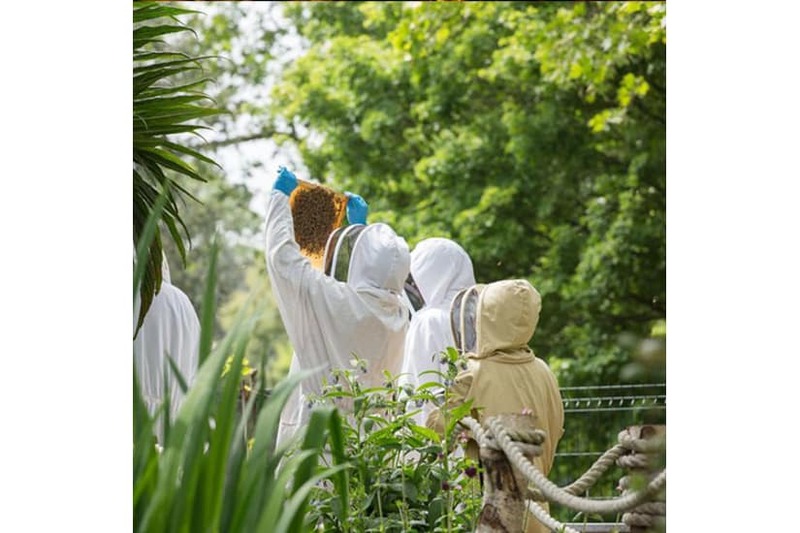 Protective Clothing, a hands on experience helping resident beekeeper, beer and food matching. Availability, When can you go, Duration? 10am, 11am, 12 noon, 2pm, 3pm on most Saturdays and Sundays from mid April to mid September. This is in line with the Life Cycle of Bees and the Beekeeping season. This experience lasts for 2 hours and the minimum age is 18. Insurance - Hiver Beers hold public liability insurance. Cancellation - If you need to cancel your experience, please give Hiver Beers 4 weeks notice, and they will endeavour to book you onto an alternative date. Health & Safety - Please note that the Beer and some of the Food Matching contain Gluten. 1. Redeem your MasterChef Gift Card for The Hiver Beer event by clicking 'Add to Basket' on this page. 2. You will receive an email order confirmation with a unique MasterChef gift card order number, and instructions of how to book your event directly with Hiver Beers.